Hey U-Jam Fitness Party People! Myself along with Nic and Julie (aka K-Pop) will be doing a 90 Minute U-Jam Fitness Class at Aly’s Dance Studio in Gardena, CA Saturday, September 27th at 6:00PM. This class is for ALL LEVELS and ALL AGES! Come experience a cardio dance workout LIKE NO OTHER as we bring you one of THE HOTTEST fitnesses that is spreading across the nation. It’s world beats with urban flavor so we will take you around the world with every genre from Hip-Hop to Bollywood to K-Pop to Latin to Dancehall and Electronica and so much more. You can purchase your PRE-SALE ticket price by clicking HERE or click on our flyer! 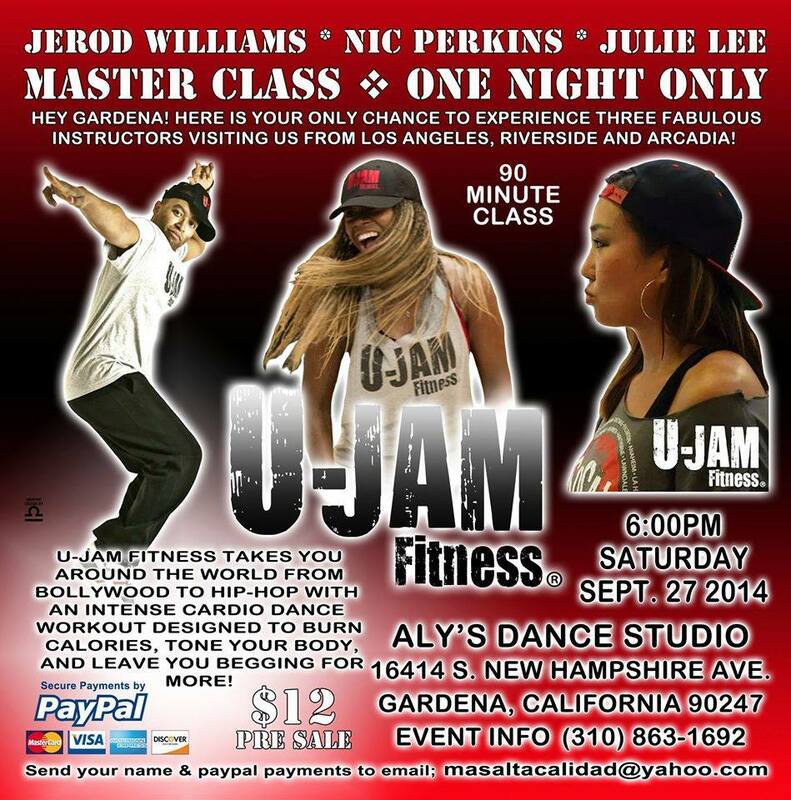 Join Jerod, Nic and Julie at Aly’s Dance Studio in Gardena, CA. The address is 16414 S. New Hampshire Avenue, Gardena, CA 90247. Tickets are $12 Pre-Sale.